Pure HTML – an iframe with specific URL in SRC attribute. ASP.NET server-side control – same as above, but generates all scripts automatically. The script provides custom configuration for the Vizit viewer (no explorer grid, no properties editor, no annotations tree, no toolbars), which is used by the viewer running in the iframe. This is done by special script, js/profiles/IframeImport.js, which imports settings from the parent window and passes them to the Viewer. Please note that function is referenced as document.ConfigureVizit. Normally you will have the outer document and iframe document running off the same server. In rare cases, however, the outer document can be provisioned from a different server, which is typical for Cross Site Scripting (XSS). This is known to introduce “access denied” errors, when a window from domain A attempts accessing contents of window from domain B. 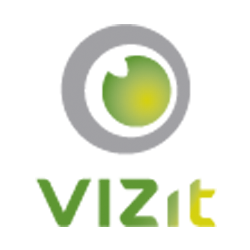 For more information, please refer to our knowledge base article on Changing Toolbars, Layout, and Behavior of Vizit Pro.